Often there’s a misconception that yoga is exclusively for slender, delicate women. What's more, there’s a misunderstanding amongst gym fanatics that yoga is simply a soft practice of stretching or that one must be flexible in order to even begin a yoga practice. Well, today we are going to shatter these myths by investigating a few specific poses that can come in handy not only for gaining flexibility, building strength, but much much more. Here are 5 yoga poses that even the guy who wears gloves to the gym will love.
. It takes a truly engaged mind and complete focus to hold this pose, so test your toughness with it. Why would a gym rat love this pose? Because almost everyone else hates it. This asana is tough and takes time to master. In addition, it helps strengthen and tone glutes, stretches hamstrings, detoxifies the body, and it’s a hard balance! It's also the perfect challenge for those who prefer to get their exercise in the weight room. Obviously this party trick is a great one to bust out at the gym. Want all eyes on you? 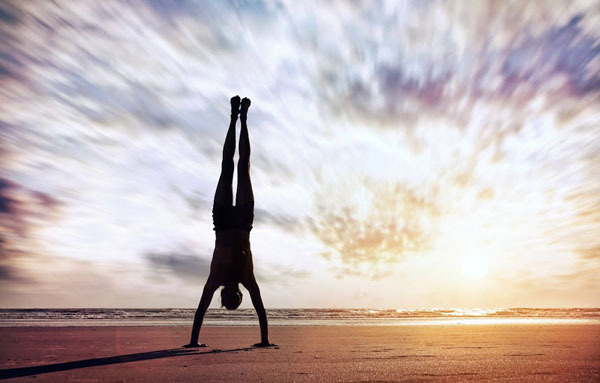 Float into a Handstand. The focus, strength, and balance required to execute Urdva Mukha Svanasana is the perfect pose to get any gym-goer onto the yoga mat. In addition, handstands tone and build shoulders and back muscles. Want to be the strongest warrior you can be? Try Virabadrasana II. It's a fantastic pose for stretching the groins and opening the hips. Warrior II also increases confidence and steadiness. It's truly the perfect asana to feel like a badass. Everyone can do this. The best end to any workout is with Savasana. Give your body a chance to cool and calm down. Let go of the mind and let the body melt into the ground. 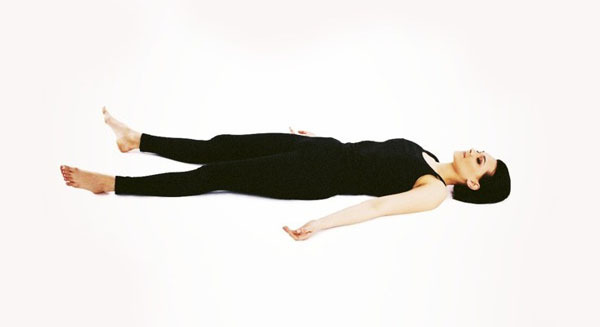 Savasana is the time to allow all the benefits of whatever workout you do to really take effect. Give yourself permission to chill out. Try a little Savasana sometimes. Yoga is a great complement to many exercise routines, and weightlifting is right in there! Enjoy the many benefits that a little yoga can bring into your life, and start spreading the word around the gym! Are you already a gym-rat yogi? What are your tips in fusing the two practices?